It's been around since the Second World War, it all started with jazz and now, it seems, jazz might be back at the renowned Oxford Street venue. The 100 Club has announced a Jazz Week with daytime workshops and evening shows. 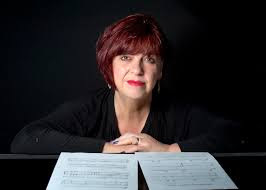 Among those appearing during the week are Liane Carroll, the Sam Barnett Quintet with Theo Travis, the BATL Quartet and Adrian Cox's Profoundly Blue. Workshops will be led by NYJO, Leeds College of Music and the Royal Academy of Music. As part of the 100 Club Youth Arts Programme, on Sunday 26 August Engines Orchestra will be running a night called eO presents: Kalpadruma (including saxophonist Asha Parkinson) + Resolute (featuring trombonist Raph Clarkson), and eO artistic director Phil Meadows will also be running a workshop before that concert. The Arts Council has given the initiative its support.